Fry’s Food Stores have been serving the Arizona community for over 50 years. Our more than 17,000 Associates serve over one million households per week in our stores. 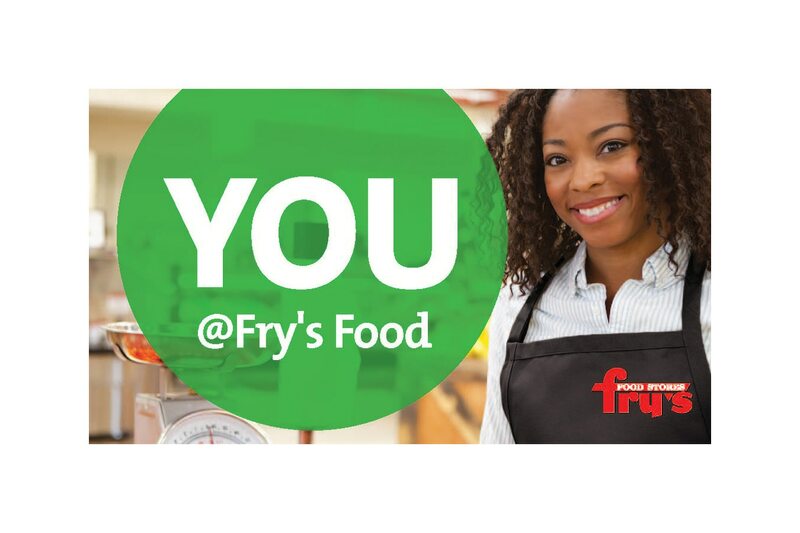 Fry’s is also a proud member of The Kroger Co. based in Cincinnati, Ohio, one of the nation’s largest retailers. At Fry’s, we know that offering our Associates advancement opportunities not only keeps our company competitive, but it also helps our Associates grow into strong leaders. Mentoring programs, cross-training, management courses, educational resources and more make Fry’s a great place to turn a job into a lifelong career. Fry’s is committed to serving the communities that we live and work in. We’re proud to partner with organizations, both large and small, and support many local worthy causes. Fry’s has won awards for our fundraising efforts, community campaigns and volunteerism. Casa Grande, AZ, US, 85122 2858 N Pinal Ave 660 - Fry's Food Stores of Arizona, Inc.
Chandler, AZ, US, 85249 985 E Riggs Rd 660 - Fry's Food Stores of Arizona, Inc.
Phoenix, AZ, US, 85032 4025 E Thunderbird Rd 660 - Fry's Food Stores of Arizona, Inc.
Tucson, AZ, US, 85743 7870 N Silverbell Rd 660 - Fry's Food Stores of Arizona, Inc.
Tucson, AZ, US, 85747 8080 S Houghton Rd 660 - Fry's Food Stores of Arizona, Inc.
Tempe, AZ, US, 85282 5100 S Mcclintock Dr 660 - Fry's Food Stores of Arizona, Inc.